How can we better integrate science and the arts? Drama seems a fairly obvious medium for integration, and Michael Frayn used it effectively with his play “Copenhagen,” which dramatized the 1941 meeting between Niels Bohr and Werner Heisenberg. Dance is a lot less obvious; in fact, at first glance, dance seems to be a bizarre way of exploring science. But teacher Jane Burke made it work when she used it to teach children the elements of chemical bonding and chemical reactions (http://www.edutopia.org/arts-education-chemistry-dance-visualization). The connection between science and dance has been made to work in the other direction as well. Ken Laws, an emeritus professor of physics at Dickinson College, Pennsylvania, is a serious balletomane, both as a performer and analyst. He has written three books on how dancers can use the principles of physics to improve their performance, and guided young dancers to perform astonishing feats in the process (http://discovermagazine.com/2008/the-body/11-the-physicist-who-figured-out-ballet). Now Latham Boyle from the Canadian Perimeter Institute and his colleagues have discovered ballet in Nature – not in the dances of birds, fascinating though these are, but in the movements of atoms and molecules in crystals. 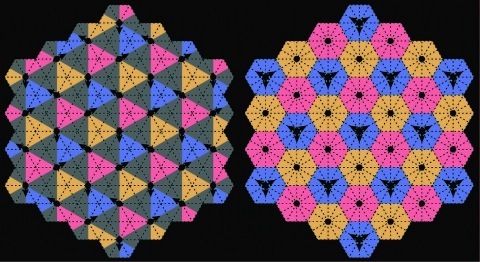 The new type of crystal, which so far exists only in theory, is called a “choreographic crystal,” where the order does not come simply from a static arrangement of the constituent atoms or molecules, but from their orchestrated, coordinated movements. Boyle’s paper with co-authors J.Y.Khoo and K.Smith will appear in the January 8 edition of Physical Review Letters. They are actually cosmologists, and developed the new idea while considering ways to detect gravity waves (for a good description of how they made the connection, see Philip Ball’s excellent piece at https://physics.aps.org/articles/v9/4). It’s just another example of the myriad ways in which scientists think and make connections. You don’t have to wait for someone to make an actual choreographic crystal to see a nano-ballet in action. Microbiologist Simon Park has already choreographed one in his “ballet infusoria,” developed to celebrate world soil day. Here it is: http://exploringtheinvisible.com/.